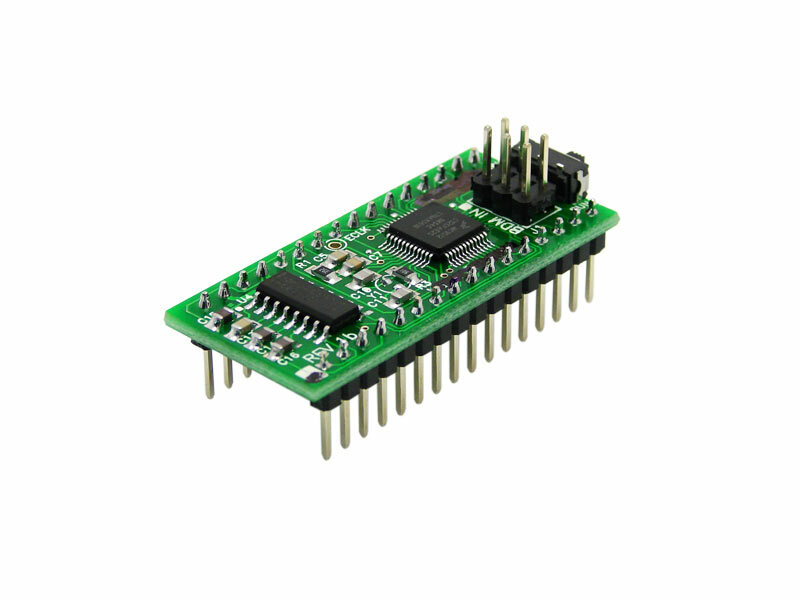 NanoCore12DXTM is a low-cost platform that brings the advanced features of the 9S12C microcontroller family within easy reach of engineers, students, and hobbyists. The flexible design accommodates all facets of training, evaluation, development, prototyping-- and even volume production. While there are several DIP-format MCU modules on the market, none of them comes close to the power and value of NanoCore12! Others are based on RISC processors-- some relying on serial program memory, and have limited or no hardware subsystems on-chip. NanoCore12 is the only complete family of DIP modules based on a high-speed CISC device. Since RISC processors only possess primitive instructions, their high speed is necessary, in order to produce acceptable computing power. With a CISC processor running at the same speed, the overall performance is vastly improved-- and performance improvement is in orders of magnitude for certain types of operations. The HCS12 instruction set includes powerful DSP-like instructions, 16-bit arithmetic, and the architecture implements memory-to-memory moves, and many powerful addressing modes. These features are way beyond what any PIC, AVR, or 8051 processor offers today. With a 2K Flash-resident debug/monitor program, you'll be able to load your program into the remaining 30K Flash via the serial port using the CodeWarrior or uBug12 user interface for Windows. The entire 30K Flash can be programmed in about 3 seconds! To use the monitor for debugging or code-loading, just set the switch to LOAD. To run your standalone program thereafter, leave the switch at RUN. Your code runs from Flash, and interrupts are supported (via Flash-based pseudo vectors, since the monitor resides in the vector space of the MCU). A program you load into Flash this way will run every time you apply power or reset the board in Run Mode. If you want to take advantage of a more advanced development tool (such as MicroBDM12SX), the entire 32K Flash can be used, because the Flash-resident bootloader is no longer needed (therefore pseudo-vectors aren't required either). You'll also need to use this method if you are using a non-Windows development platform. ®BASIC Stamp is a registered trademark of Parallax Inc.